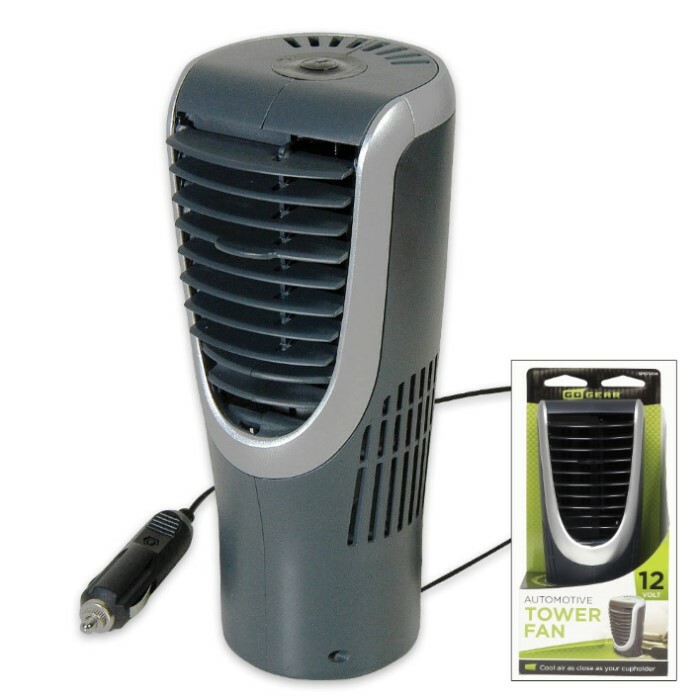 12-Volt Personal Tower Fan | BUDK.com - Knives & Swords At The Lowest Prices! For cool air as close as your cup holder, you need our new 12-Volt Personal Tower Fan! 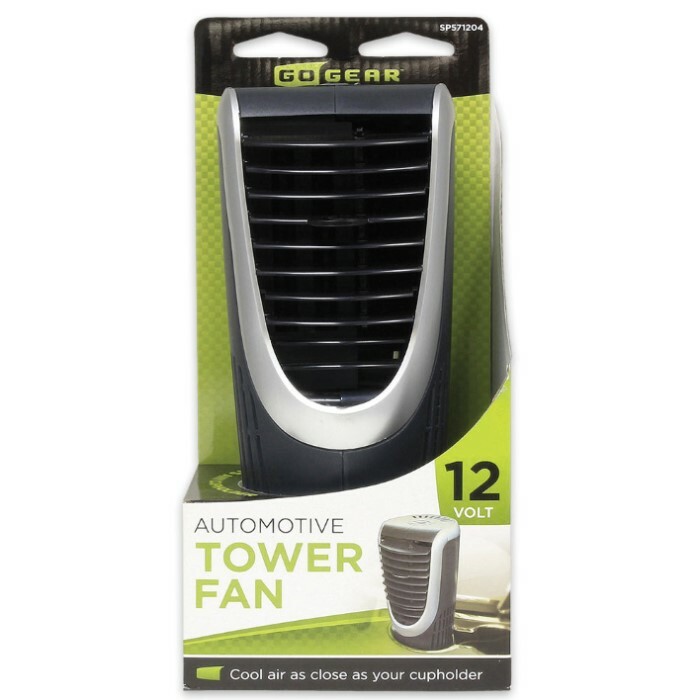 Just place the personal fan in any cup holder, either in the back or front of your vehicle and plug it into your 12-volt outlet with the included five-foot power cord. The louvers can be adjusted up or down as needed. This makes an excellent back-up plan in the event that your vehicle’s AC goes out.